Lined with navy zipper Top Closure. 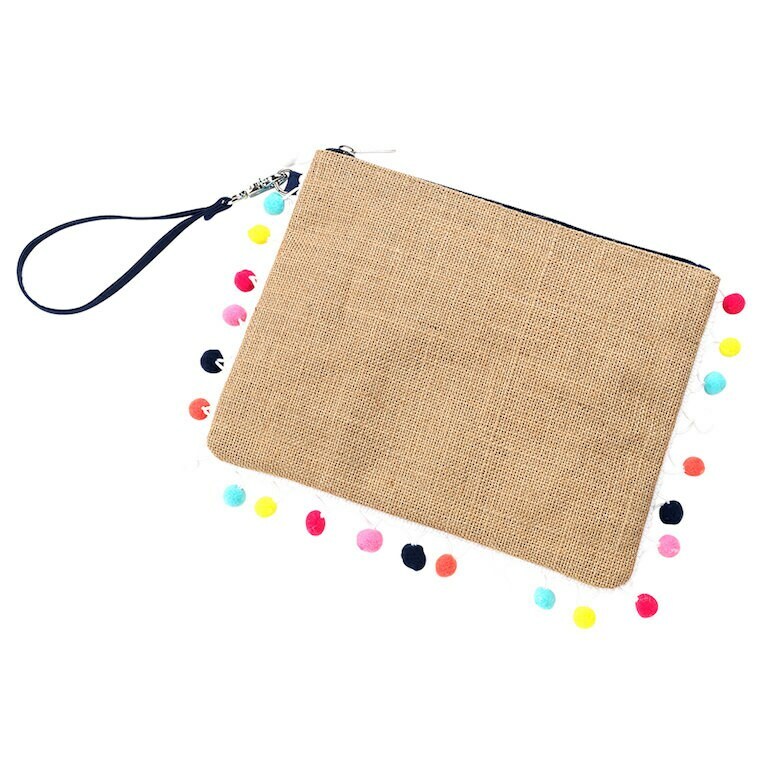 Slim envelope style but is large enough for phone or makeup essentials. 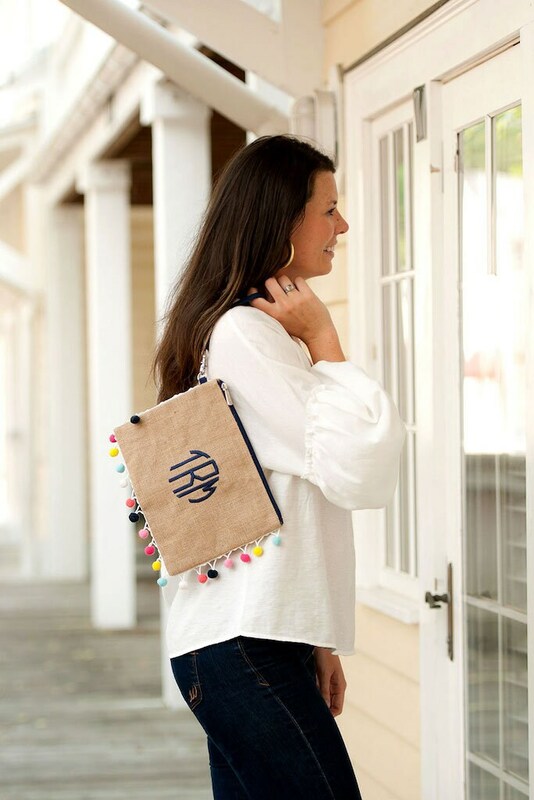 Looks great with a navy or royal blue monogram. 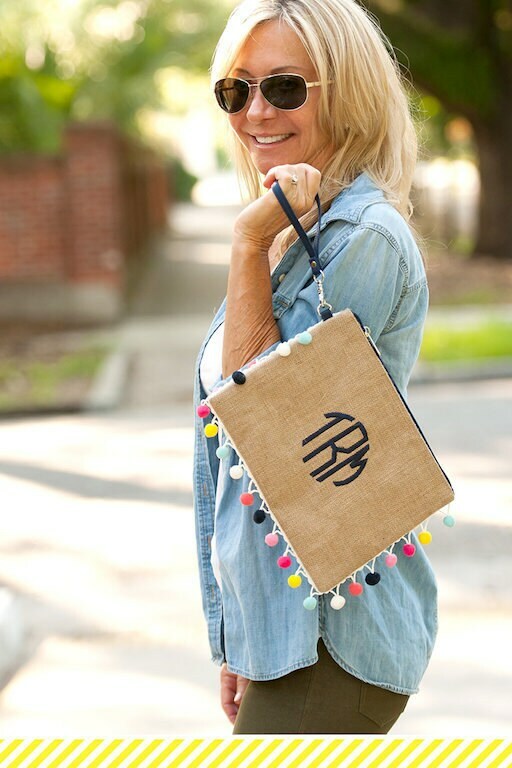 The pom poms are a fun pop of accent color and texture. 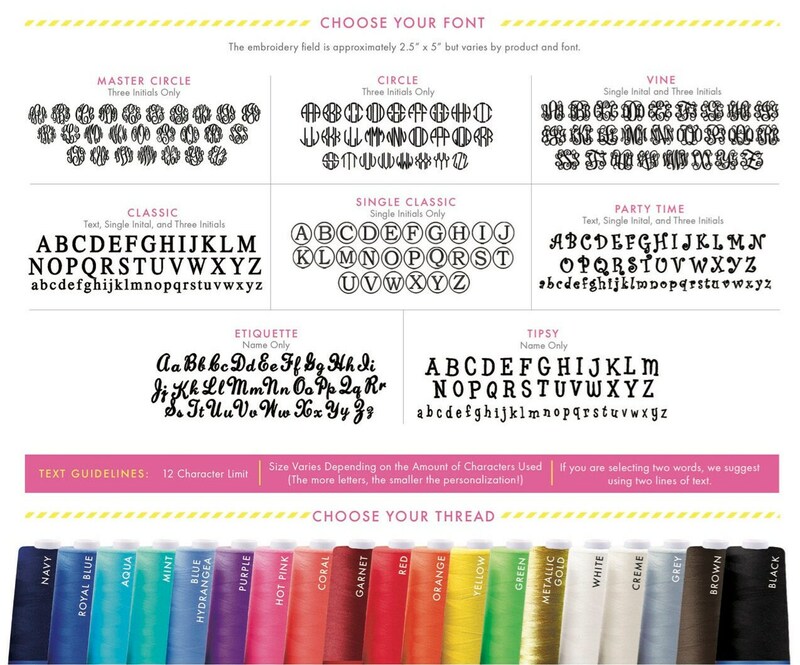 Font shown: "TRM" in Circle Font. 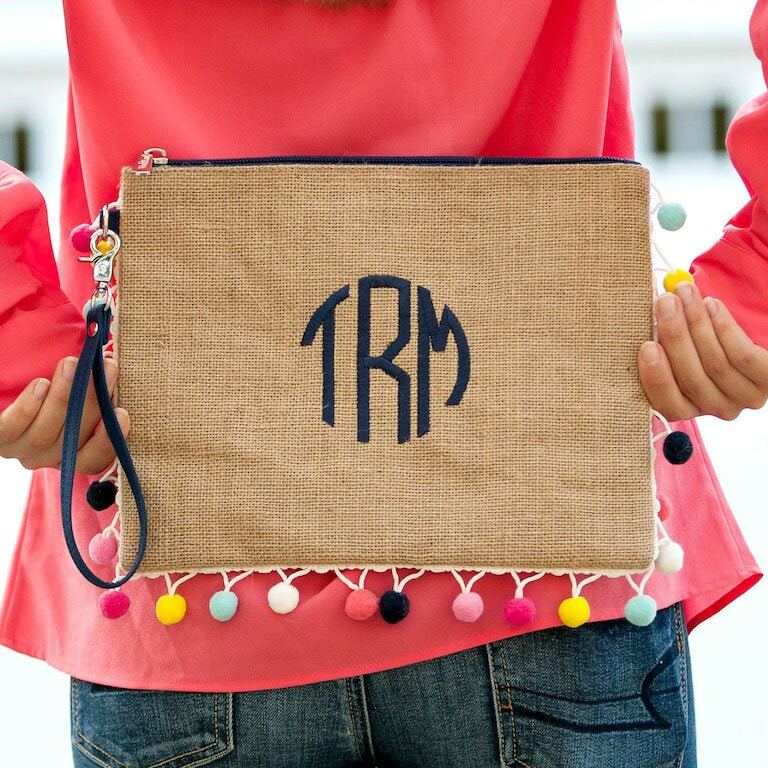 Please specify monogram in the following order - First name initial, LAST name initial and Middle name initial. Barbara Ann Smith = BSA.